A new study rates San Francisco as the fourth-best American city to call home, with San Jose coming in at No. 8. 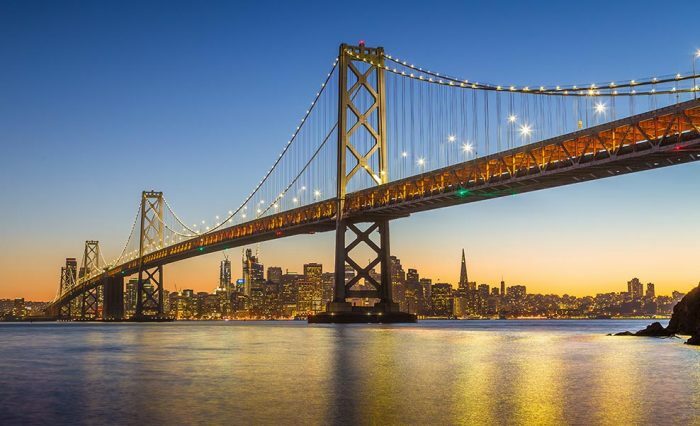 San Francisco excels in several of the study’s gauges of attractiveness, including income growth, most restaurants and coffee shops per capita, and walkability. San Francisco and San Jose residents also rank among the most educated in the U.S. While people migrate to the Bay Area to take advantage of its high-octane job market and pleasant year-round weather, the region’s high quality of life and top-notch educational opportunities cannot be understated, helping to land San Francisco and San Jose near the top of a list of the best U.S. big cities. That’s according to an analysis by WalletHub, which ranks the 62 largest American cities on 56 gauges of attractiveness to residents on a 100-point scale. Individual measures of a city’s desirability fall into five major categories: affordability, economy, education and health, safety, and quality of life. San Francisco notched the No. 4 spot for best American big city, garnering a score of 62.56. The City by the Bay ranks second in the country for overall quality of life and third for health and education. Diving into more granular criteria, San Francisco ties Seattle and Austin, Texas for the highest income growth in the country. The city also ranks among the top five in the U.S. for the lowest percentage of residents living in poverty and the largest amount of people with insurance. In addition, San Francisco ties New York City for the highest number of restaurants per capita and ties five other cities for the most coffee shops per capita. The city also earns the nation’s second-best Walk Score and Bike Score, though those two criteria represent a very small portion of the overall score. San Jose landed in the No. 8 position, with a score of 60.87. Silicon Valley‘s thriving economy helped boost San Jose’s position, with the city ranking fourth in the nation for that measure of attractiveness and second for education and health. Like its neighbor to the north, San Jose also has one of the lowest percentages of residents living in poverty in the country. A separate WalletHub study sheds additional light on the Bay Area’s educational pedigree, with both San Francisco and San Jose residents named among the five most educated in the U.S. Both cities rank in the top five for the highest percentage or residents with a bachelor’s degree, while San Jose has among the county’s most citizens with graduate degrees.